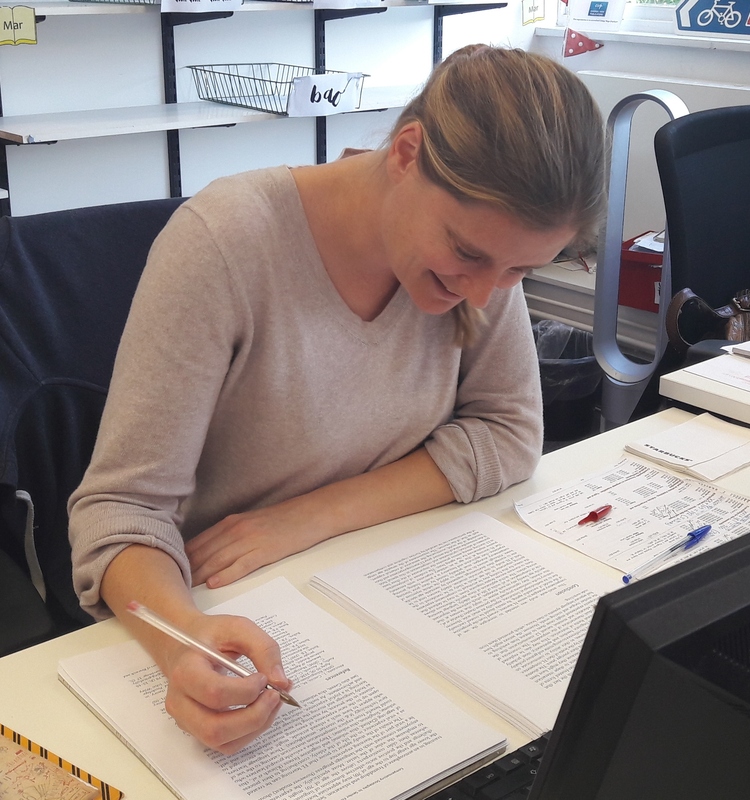 In this post Sarah talks about her recent visit to Lund University in Sweden where she co-facilitated a publishing workshop. 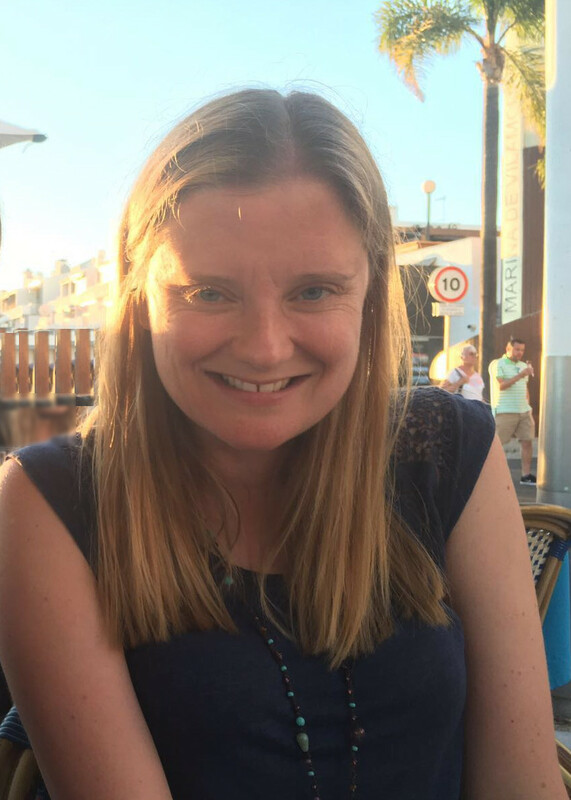 At the TEFI conference in June, Dianne Dredge asked me if I’d be interested in taking part in an event she was putting together designed to encourage academics who are new to book publishing. Fast forward five months and I was on my way to the Helsingborg campus of Lund University to help facilitate a publishing workshop on preparing a book proposal and manuscript! Build your ‘keep me grounded’ network. A basic template of your proposal. A plan to get you started. First time using a clicker! It was great that each participant enthusiastically and openly shared their ideas, and their writing motivations and challenges. As well as explaining the publishing process to everyone, I certainly learned a lot about authors’ processes when it comes to writing – things that I will definitely bear in mind next time I’m chasing someone for a late manuscript! For the afternoon session on developing a proposal, Dianne had prepared a Lean Book Concept Canvas (an adaptation of a business model canvas – see the beautifully-illustrated jpeg below!) The idea for this was so the participants could develop their ideas in a more organic way before starting on the proposal template guidelines. The book ideas that were pitched were strong and it was useful to be there on the spot to provide guidance (for me it was like having one of our in-house editorial meetings but where authors were present for face-to-face feedback!) on things like really thinking about who your audience is and reworking the title so it gives a good idea of what the book is about. It was a great event to be part of thanks to Dianne’s overall vision and preparation for the day and Johan’s openness in sharing his experiences and sage advice. 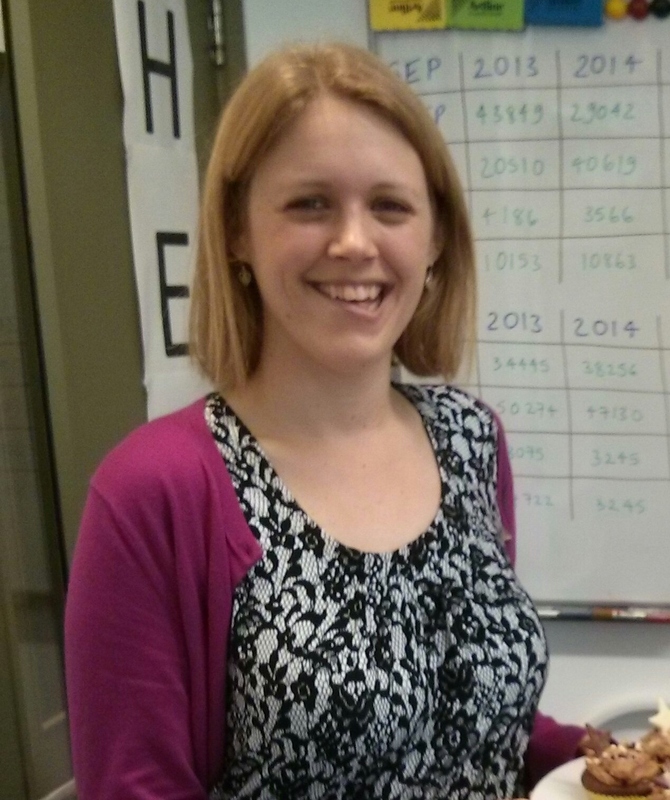 And to Erika Andersson Cederholm’s efficient organisation – including the fika and AW – wholeheartedly appreciated! I had time on my return via Copenhagen for a fun visit to Tivoli Gardens with Dianne and one of the workshop participants, Giang Phi – though we didn’t manage a visit to Santa Claus this time round! Dianne and I would like to hold this event elsewhere in the future – so watch this space! What will you miss most about coming into the office every day? My super wonderful colleagues/work family! 😊 We have a lot of fun in the office – I will miss Fridays especially when everyone is in with cakes/doughnuts and Spotify playlists. But will try to come up to Bristol for at least one Friday a month. I’ve worked with everyone (some longer than others!) for a number of years so I’m trying to prepare myself not to see their faces every day – it will be strange and not a welcome thought! What will you miss about living in Bristol? It’s a great city to live in – and I will miss many things about city life (including Uber and Deliveroo!) But for Bristol the street art and balloons will be missed. Just lucky I still get to visit regularly. 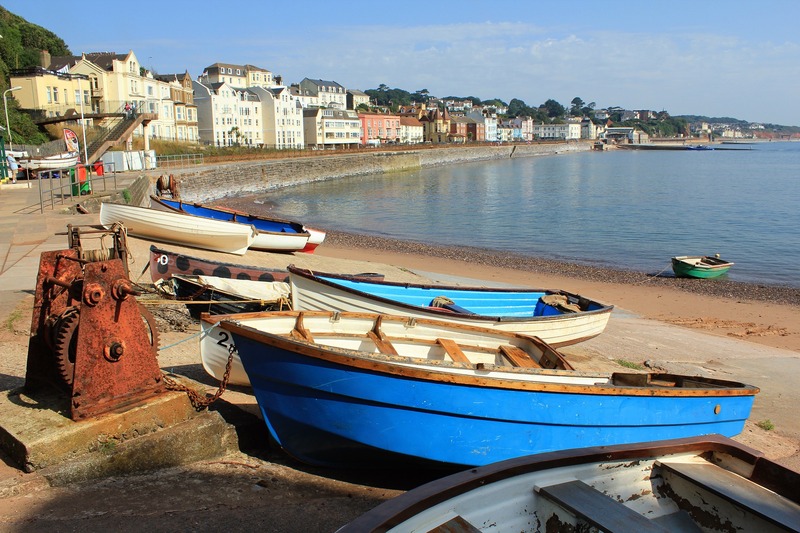 What are you most looking forward to about moving to Dawlish? Being back with my crazy-big family will be lovely – and living by the sea again will be ace. I’ve missed it! What do you think will be the biggest difference working mostly from home? Will you be bringing us scones on a monthly basis? Of course! But you really have to put jam on first (even though it’s the Cornish way) and pronounce ‘scone’ properly. 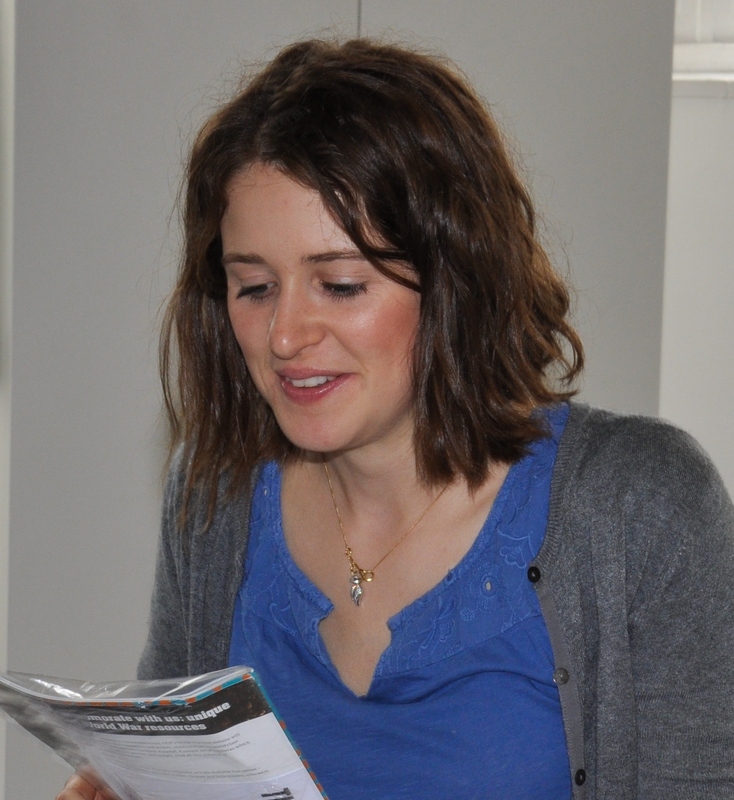 We wish Sarah the best of luck with the move and are already looking forward to our first away day in Dawlish! We’ve been working with book cover designers Latte and Melanie Goldstein at River Design for over a year now, and we thought our readers might like to find out a little more from them about the book design process. In this post Latte answers some questions about book design and gives us an insight into his work. How did you get into book cover design? When I started up my own graphic design studio in Edinburgh, I was commissioned by a few local publishers to design some book covers and it really just grew from there. I now pretty much solely concentrate on book cover design work. What kinds of books do you design covers for? I design mainly academic and educational non-fiction book covers for subjects including history, politics, film, literature, philosophy, social science and business. What does the design process entail? The design process starts with the client’s brief. This usually provides information such as dimensions, format (eg. paperback, jacket, printed paper case) and information about the content of the book. The image is variable – sometimes clients supply images, sometimes we are asked to source them and sometimes a typographic cover is requested. The exciting bit is next! I usually work up a number of front cover roughs but then will select the 2 to 3 that I feel are the strongest. I use Photoshop but once I reach the stage of laying out the full cover, I transfer all the files to InDesign. I love designing and I love fonts so can quite happily spend hours experimenting with typography and creating artwork. What’s the most challenging part of book design? The most challenging part of book cover design is perhaps making sure that the tone of the cover design is right – appropriate for the book’s target market, conveying the correct message but at the same time visually dynamic. I do try to push the boundaries, but without getting carried away! What’s your favourite aspect of the job? Every book is different so every cover design is a unique challenge, requiring a completely new set of ideas and a new approach. This is what I enjoy the most…there’s nothing more exciting than getting stuck into a new brief! If you want to see more of River Design’s work, check out their website and Instagram. The production stage is an exciting time in the publishing process, as a manuscript begins its journey from Word document to printed book. However, there is a lot of work to do before the book is ready for publication! In this post Sarah answers some of the most common questions she gets asked during the production process. Will my manuscript be copy-edited and proofread? Yes, we ensure that every manuscript we publish is copy-edited. We will ask authors to proofread their typeset proofs but I will also be checking them throughout the production process. Will I get to choose my own cover design and image? If your book is being published in one of our series (most will be) there will be a series design to adhere to. We are very happy to take on board authors’ preferences re a cover image (if the series design includes one) and background colour. Check out our blog post on book cover FAQs for more information. How long does the production process take? From sending the final manuscript for copy-editing and typesetting to the arrival of a printed book usually takes around 5-6 months. This can be done more quickly but for marketing purposes it is better to get advance information (ISBNs, prices, ToC) out 6 months ahead of publication. We also like to have enough time to ensure we are publishing a high-quality volume and not rush things out in a very short time. Do I need to adhere to a specific style/layout in my manuscript? We provide guidelines for authors but we are flexible in terms of manuscript layout and font. We are currently working on a requested stylesheet for book editors to send to their chapter authors. Do you follow APA referencing guidelines? No, our reference style most closely resembles the Harvard referencing style. How should I send my figures/photographs? If you have a lot of photographs to submit with your manuscript it’s best to submit these separately as tiff files (jpegs are also acceptable). If possible they should be minimum 300dpi. Can I add/change things after my manuscript has been finalised and the production process has begun? We would strongly discourage changing large parts of your manuscript once we have sent the final version to the copy-editor/typesetter. You will have a chance to proofread the typeset pdf and make changes (we would expect these to be mostly minor at this stage) at the initial proofing stage. When can I expect initial proofs? We ask our copy-editing/typesetting suppliers to return the pdf proofs to us 6 weeks from their receipt of the manuscript. This deadline can depend on how fast authors respond to any copy-editing queries which the suppliers send to them directly. How should I return my proof corrections? Most authors email a list of corrections which I will transfer to the proofs while I am checking them. Increasing numbers of authors are supplying corrections made directly to the pdf. We are also happy to accept hard copy corrections through the post! When should I start my index? It is best to start the index at revised proof stage (i.e. once the initial corrections have been made) so pagination is unlikely to change. How long does a book take to be printed? We ask our printers to send the printed book to us 3 weeks after they’ve received the final proofs/cover from us. We do not announce publication until the printed books have been checked in-house and delivered and booked in at our UK distributor. Will my book also be available as an ebook? Yes! 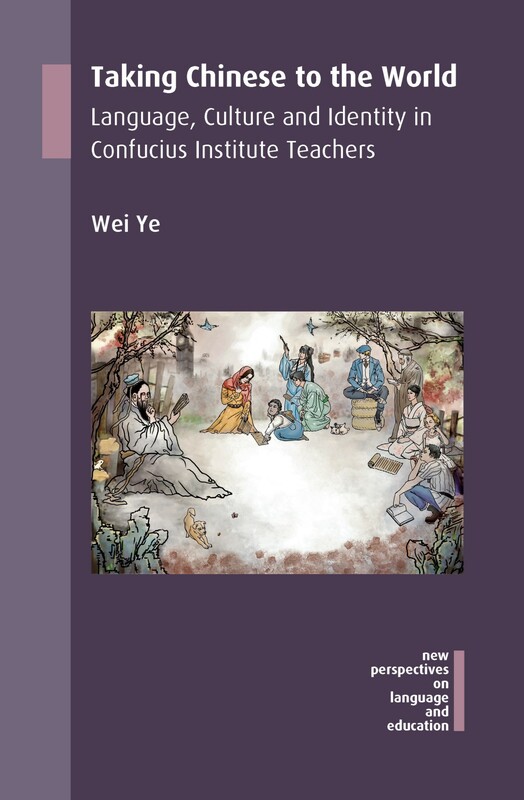 We publish all our titles as library pdfs, and in Epub and Kindle formats. 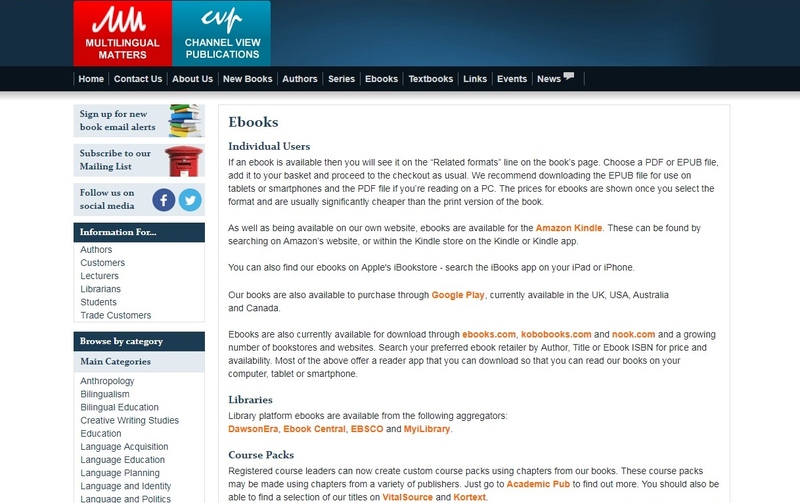 Please see the Ebooks page on our website for more information on where they can be purchased. Will I receive complimentary copies of my book? Yes, authors and editors of books will receive printed copies of their books (if you’re in doubt about how many, please consult your contract or contact your commissioning editor). For edited books, each contributor will receive either an e-version of the book or a printed copy. Behind the Scenes… What Happens to an Accepted Manuscript? Once a manuscript has undergone external peer review, been suitably revised by the author and is approved for publication by the series editors (where relevant), it is accepted for publication. We then ask the author to complete an author questionnaire and checklist and start to get the manuscript moving towards production. But what are we doing exactly? In this post, Laura outlines the small but vital stages between editorial and production. The first thing a Commissioning Editor does is book a slot on our production schedule. Each month we publish a certain number of books, typically between 4 and 6, so there are a limited number of places available. The Commissioning Editor will most likely have already provisionally pencilled in the manuscript well in advance of it being accepted, using their knowledge about the extent of the revisions required and how busy the author and series editors’ schedules are. But it is only now that a publication date is set and finalised. At this point it is therefore extremely helpful to us if authors keep to deadlines they have promised! Once the Commissioning Editor has received all the final files and supporting documents, they will check through the manuscript one last time. They ensure that the author has submitted all the documents (table of contents, each chapter, references, appendices etc) and confirm that permission has been cleared for all material from external sources. They will then update the book’s proposal P&L with the latest word count, as we use this to estimate the pagination and price. The book is then ready for the Commissioning Editor to schedule for discussion at the next in-house editorial meeting, usually held weekly. For those of us not involved in the book until this stage, this might be the first we’ve heard of it since the proposal was accepted, often some years previously! At the meeting we discuss and approve the title; make a final decision about the format (whether it will be published in paperback and hardback simultaneously) and approximate the print run. With all of the above finalised, the Commissioning Editor is now ready to hand the book over for production and marketing. In order to make the handover process a smooth one and to help impart as much of their knowledge about the work to the rest of us as possible, they complete a handover sheet. The handover sheet splits naturally into three sections: key details about the work, then a production section, followed by marketing information. The key details section is where we store absolute final information about the book, mainly what we decided on at the editorial meeting. It is where we look if we cannot remember whether we did decide to remove a comma from a title or exactly which subtitle we eventually chose! It is therefore like gold dust as it is vital that we are consistent, once we have made a decision: as soon as data starts to leave our database, it is sometime hard to find where it has gone and overwrite it. 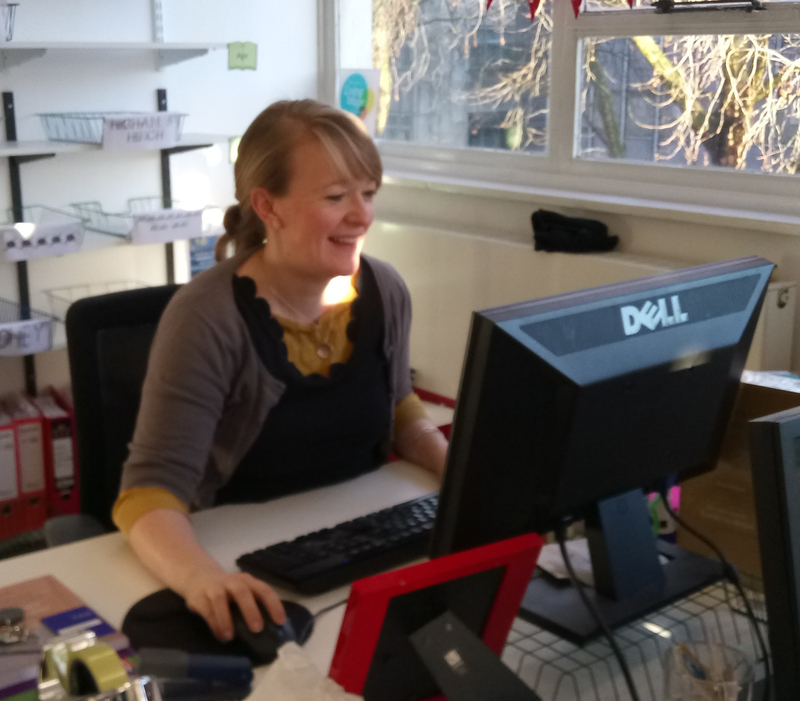 Next comes the production section where the Commissioning Editor will tell Sarah, our Production Manager, and Flo, who does the covers, information about the book. Sections include whether there is a preference for British or another variety of English; if the author already has a particular idea for the cover and if we have agreed anything special with the author, perhaps with regard to the layout or format. We also tell Sarah about what she might expect when working with the author. This includes things such as if one is taking the lead (in the case of multiple authors) or whether we know the author is about to go on leave. This is important as production runs to deadlines which are much firmer than those in editorial often are. Finally comes the marketing parts of the handover. The Commissioning Editor writes the blurbs, suggests subject categories and says who to approach for cover endorsements. 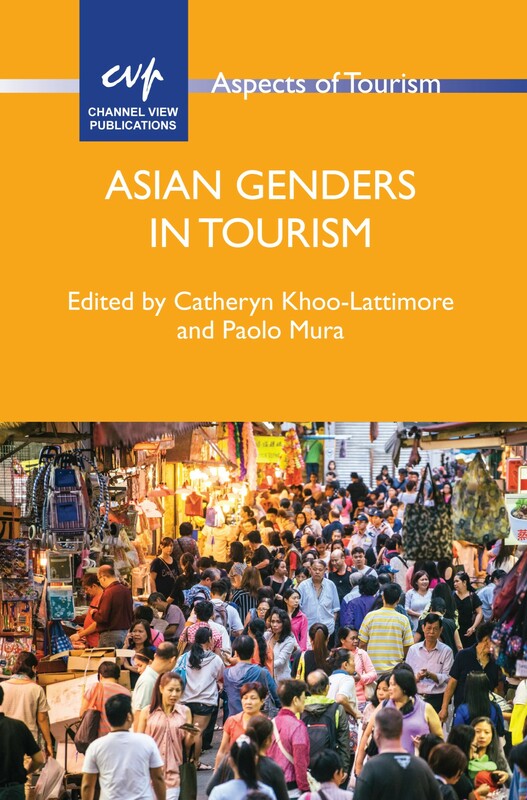 They will also advise the marketing department on the book’s highlights; note any geographical contexts featured in the book (which might be helpful for our local sales reps); list which of our other books it links with and state any other key selling points of the work. They will also let us know any bright ideas they have for any special, out-of-the-ordinary marketing! We find that handing a manuscript over in this way works really well. Ultimately, the Commissioning Editor is the person in the office who knows most about the book and the more of their knowledge they can share with the rest of us, the more likely we are to have a smooth, enjoyable and successful publication. The cover design for a new book is something I really enjoy working on, and it’s often one of the author’s favourite parts of the production process too. However, it’s not without its challenges, such as choosing a good image (particularly as a lot of the subjects of our books are quite abstract), and the cover design process can be an unfamiliar and daunting prospect for some of our authors. In this post, I answer some frequently asked questions about the book cover design process. Will I be able to choose my own cover design? We have standard designs for all our series, so the design itself will be predetermined, but this doesn’t mean that you won’t be involved in the rest of the process! There’s usually flexibility regarding colour and image, and even more scope for creativity if your work is out of series. Do I have to have an image? Not necessarily. Some of our series designs are possible both with and without an image, so you may be able to choose, depending on which series your book is in. If you opt for a cover without an image, you can still get involved in the design process by letting us know your preferred colour scheme. And if the series requires an image, we’re always happy to help you choose and source it. Will I be able to choose the cover image? Can I use this photo of people on a beach I took on holiday? That depends – do you have permission from the people in the photo to use it for this purpose? If not, I’m afraid we won’t be able to put it on the cover. Furthermore, when submitting a photo as a cover image, you need to be careful not only of the people visible in the photo but also any logos or branding that are central to the image. What about this drawing my child did? 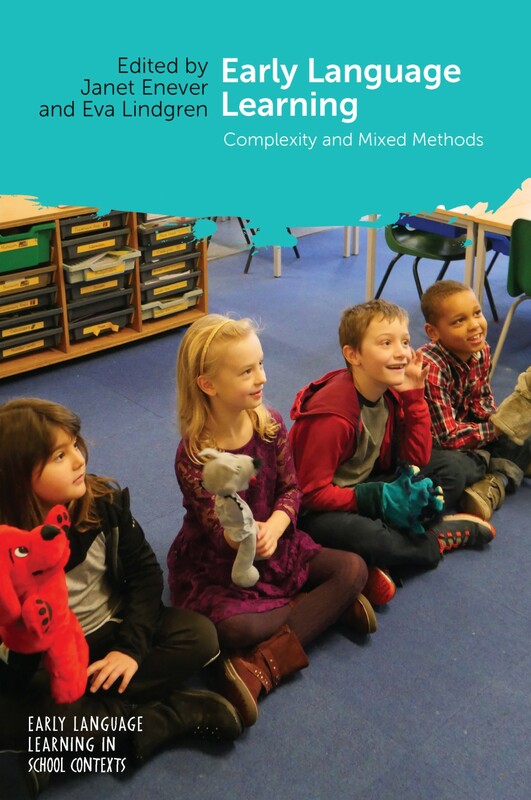 Yes, providing it will work for the cover of an academic book and the image is of a high enough quality. Our designers need the image resolution to be at least 300 dpi for it to be usable, as lower resolution images will quickly become fuzzy once they’ve been enlarged to fit the cover. What looks good on screen may not come out as well when printed by a high-quality printer, so we have to check that the quality is sufficient. What if I don’t have an image of my own? Not to worry – we regularly use stock image libraries like iStockphoto and Shutterstock to source images for our books, so we always encourage our authors to have a look through them when they have an idea in mind but no image of their own. The sheer amount of choice the image libraries offer can be quite overwhelming, and it can be a bit of a treasure hunt sifting through all the generic or staged images to find what you have in mind. However, they have an incredibly wide range of images available, and we’re sure to find the right one with enough digging! None of the stock images of children look natural, what can I do? You might be able to set up an informal photo shoot – perhaps you have young family members, friends or neighbours who’d love to feature on the cover of a book! We can provide a template letter of permission for you to give to parents or guardians to sign and are always happy to give the models a copy of the printed book in thanks. 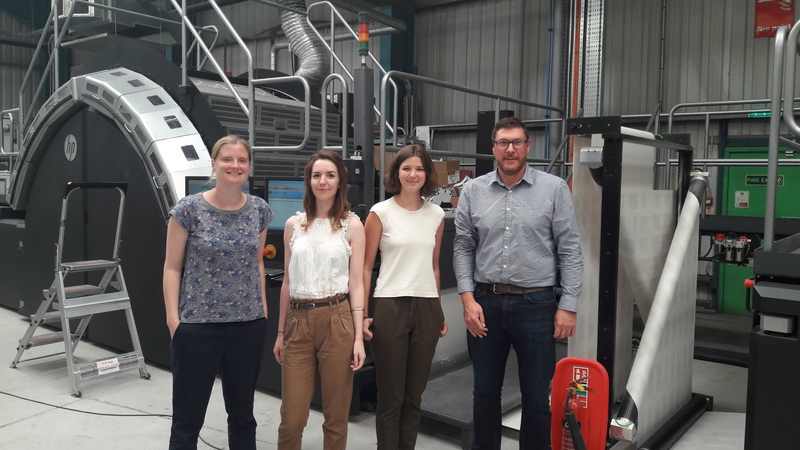 This post was written by our intern, Alice, who recently joined Sarah and Flo on a trip to one of our printers, CPI, to learn more about the publishing industry as a whole. Last week Sarah, Flo and I met at the train station, ready for a day trip to one of our printers, CPI. We got the train to Chippenham, so the journey wasn’t too long, and were kindly collected from the station by James, who Channel View has been working with for about 10 years. James drove us over to CPI’s Melksham factory, which is one of 17 factories spread over 7 different countries. Firstly, we sat down for a brief overview of the printing process and how their printers work. It was great to get a detailed description of the difference between printers and James showed us examples of what they can do, as well as giving us a mini presentation. After tea and a chat, we left the office to see first-hand what goes on in the factory. We began our tour with the plain paper rolls, ready to go – these are huge and fill a large portion of the first factory room, so we were very surprised when James told us how quickly they get through them! The rolls are then set up on the printer, which they go through at an overwhelming speed. The inkjet machine prints an entire book at a time, one after the other, on the roll. Once the paper has the text printed on it, it is then folded into its book form. It was amazing seeing how precise and fast the machines were – little need for human hands! The books are then glued and bound, before being trimmed to size. If it is a hardback book, it then carries on to a final stage where the cover is added and, if necessary, a jacket is added as well. It was all very exciting – thanks to everyone in the factory for letting us be nosy! After the grand tour, we collected our account manager, Katie, from the office. We then all drove to Lacock, an amazing village owned by the National Trust, where we had a wonderful lunch and more of a catch up. There was just time for an ice cream (it was a very hot day!) before heading back to Bristol. It was overall a great trip and so interesting to get an insight into the journey our books go on before they arrive at the office. 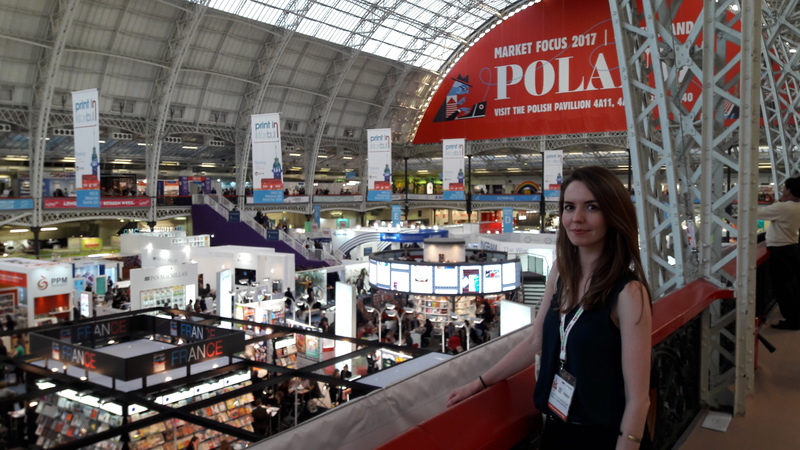 Last month Sarah and Flo popped down to London for the day for the London Book Fair at Olympia. It’s always a good chance to meet and catch up with all our publishing contacts in one place and we see everyone from reps and ebook providers to distributors and designers. After a pretty civilised 11am arrival, we had a bit of time to wander around and acclimatise to the hustle and bustle before meeting our UK distributor, NBNi. After a quick catch-up with Juliette Teague and Matt Devereux, there was time to grab some lunch before our meeting with Kelvin van Hasselt, our rep for Sub-Saharan Africa and the Caribbean. After our appointment with Kelvin, we were due to meet our new book cover designer, Latte Goldstein from riverdesign. After some confusion and a couple of incidents of walking past each other (it’s surprisingly difficult to get a proper look at people’s name badges! ), we eventually managed to meet up and had a useful discussion about the current projects he’s working on for us. 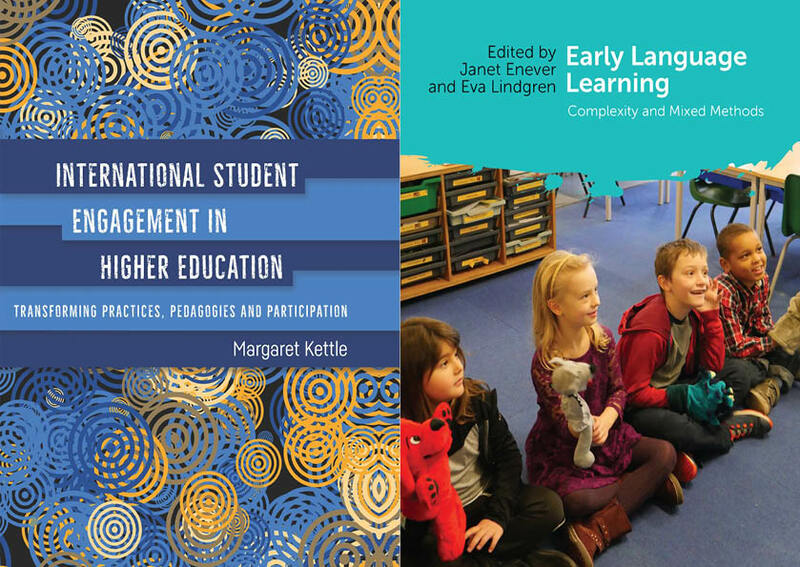 We now have two books in the pipeline whose covers have been designed by Latte, International Student Engagement in Higher Education by Margaret Kettle and Early Language Learning edited by Janet Enever and Eva Lindgren. In the afternoon Flo went off to explore while Sarah had a meeting with Darren Ryan, the CEO of one of our suppliers for copy-editing and typesetting, Deanta Global. Darren was showcasing DeantaSource, their web-based project management portal, where authors can login and make corrections to the proof file. Another meeting followed with James Powell of ProQuest, one of the library ebook aggregators we distribute ebooks to. James was very happy that our ebooks are often distributed before the print book is available. We then came back together for a meeting with Andrea Jacobs from our US distributor, NBN. 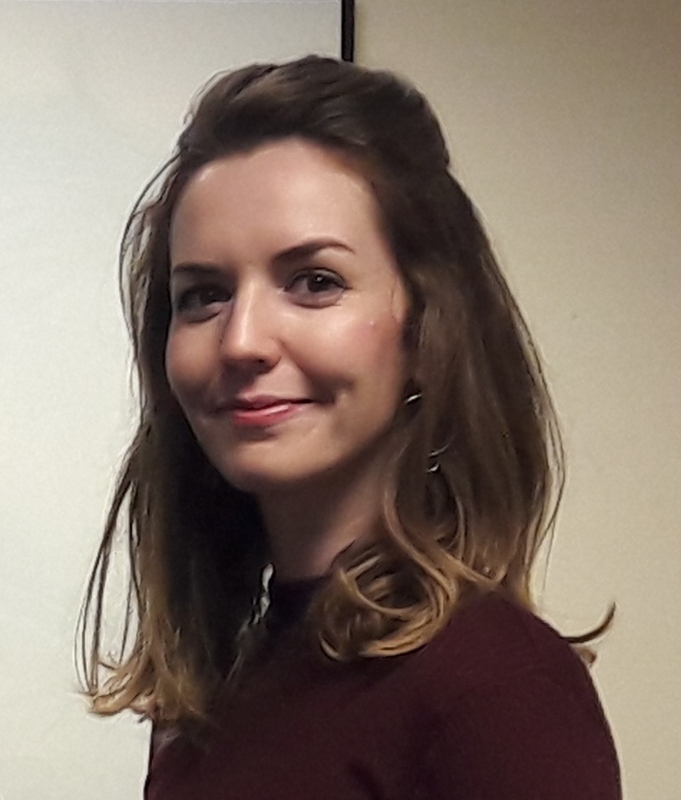 It was nice to be able to put a face to a name you email on a regular basis and we had a good chat about our experience of moving over to a new distributor. 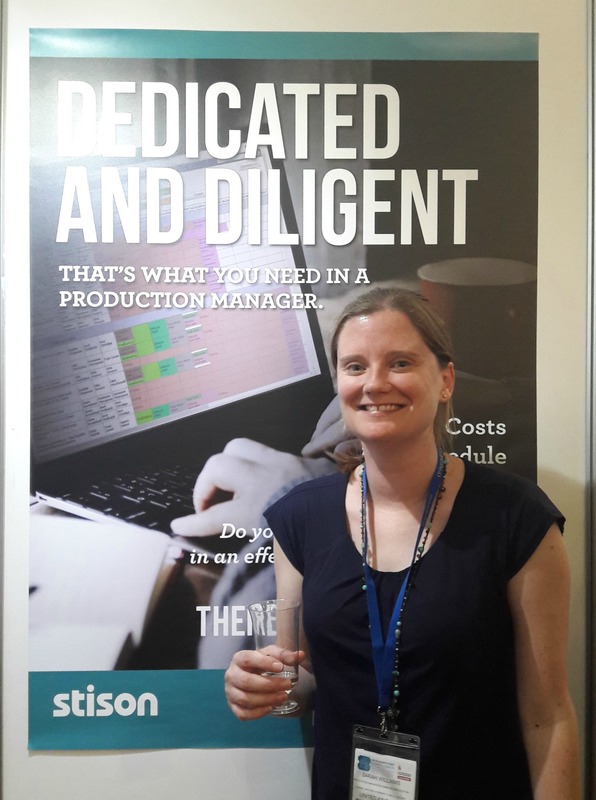 With all our meetings over, we went to the IPG drinks reception where we fought our way through the crowds to the stand of our database provider, Stison, to have a quick catch-up with them and take advantage of a great photo opportunity (see right!). When the drinks had run out, there was just time for dinner with one of our printers, CPI, before we caught the train back to Bristol. We look forward to seeing everyone again at London Book Fair 2018! The Life of a Book – Post-production! 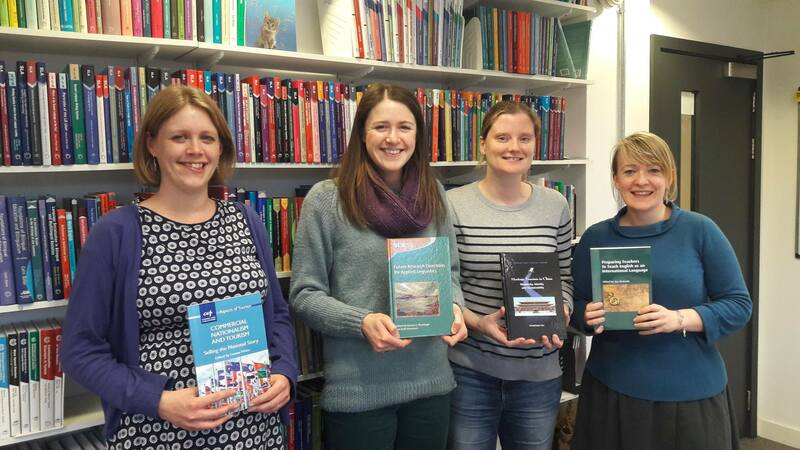 Arguably the most exciting days in our office are the days when new books arrive. We love receiving such packages from the printer and having the final product in our hands, and we’re sure that our authors feel a sense of joy and achievement on receiving their copies. To some, this is seen as the end of a journey – the editorial and production work has been successfully completed and the job of publishing the work is done. But as a publisher, we’d be pretty useless if we saw this as the time to stop working with a book. In fact, for us in the marketing department, this is our moment to shine! Elinor and I will have been busy in the run-up to publication setting things up ready for the book’s publication. This means that we will already have let all our distributors, wholesalers and sales reps know that the book is on its way; we will have ensured that the book has a complete listing on our website; and we will have provided the author with marketing materials, such as information sheets and discount flyers for them to give to any interested potential readers. The ground has then been properly laid for us to start the immediate marketing of a book on publication. We announce that the work has been published to as many people as possible. We inform all industry members, such as wholesalers and sales reps, that the work is now available for their customers and try and reach as many customers as possible directly. This might be done by posting on listservs, such as Linguist List (Multilingual Matters titles) and Trinet (Channel View Publications titles), sending a newsletter to our email subscribers, sharing the news with our Facebook and Twitter followers and informing journal book reviews editors and authors of related blogs, for example. 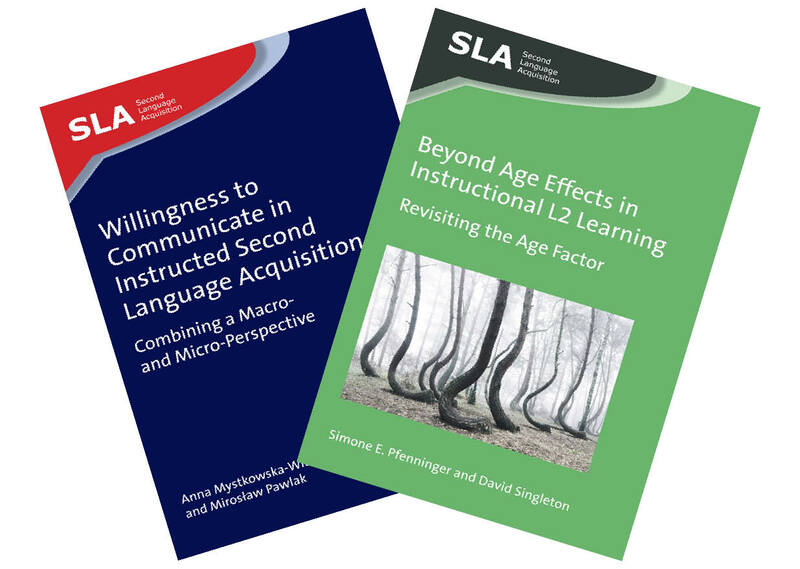 All our new books are available simultaneously as print and ebooks, so there is also work to be done to get news of the ebook out. 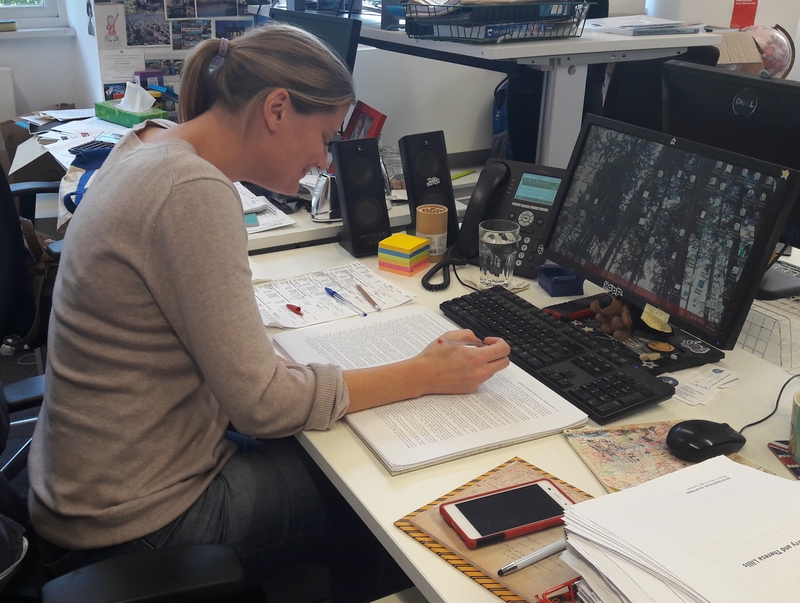 Sarah, our production manager, ensures that the book is available to purchase on a variety of platforms, and we ensure that it is also available on our own website. At this stage we also start to send out inspection/desk copies to those who have requested one from our website and we give the option of an ebook rather than a print copy. This means that course leaders get the text immediately and can start considering it for adoption on a course much quicker than the traditional way. Once the initial marketing has been completed and the buzz may have quietened down, we continue to publicise the work through other avenues. Common ways of doing so are through our catalogue mailings, and additional flyers and materials we produce for our sales reps, series editors and authors to distribute. We also attend many conferences throughout the year and always have lots of our recent and relevant titles with us on display. On occasions when we can’t attend an event in person we frequently send display copies and discount order forms to continue to make potential readers aware of our books. When a book reaches 6 months old we review its progress at an editorial meeting. We look at the sales figures and discuss how its early sales are looking. This is a useful stage to review a title as it is still young enough to be of interest to booksellers and so we give a title a marketing boost if we feel that we may have missed an opportunity. This is the time when we start to see the very first reviews of a book appear in journals and these continue to appear over the course of the next few years. On a book’s first birthday we again review its progress and might even start to think about reprinting copies of the work if it has been particularly successful. We monitor our stock levels each month so we try and ensure that we are on top of demand and that a book is always available, but occasionally we’ll receive an unexpected order, perhaps if it is suddenly adopted for a course and we receive a bulk order from a university bookshop preparing for the start of a semester. We continue to monitor sales annually and promote the book when appropriate for as long as there is demand for it – often for many years after publication. Occasionally a book will receive additional attention, such as from a foreign publisher wishing to buy the rights to translate it into a foreign language. 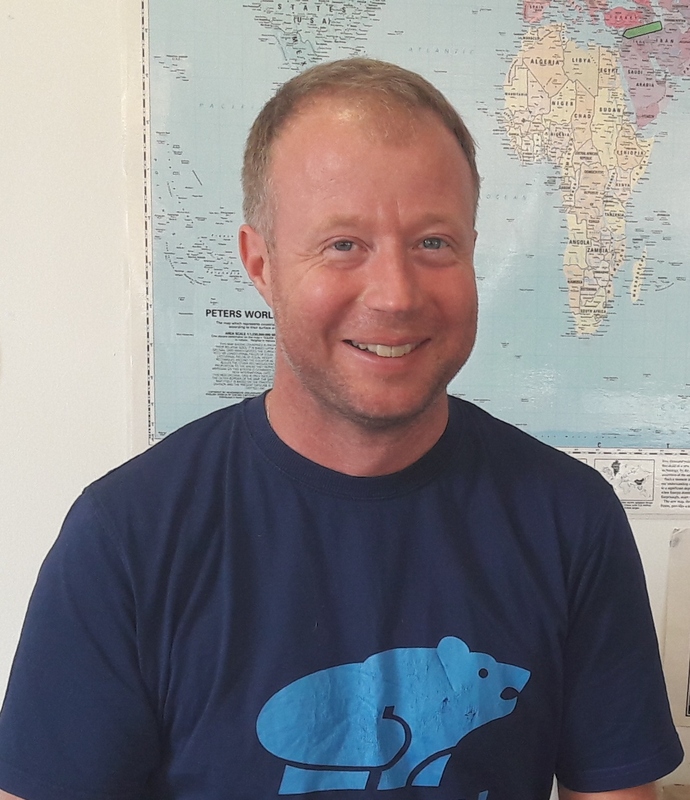 This is a really exciting time and such news is always greeted enthusiastically both in our office and by an author who is usually chuffed to hear that their work is to be translated and published for a new audience. We have recently sold our books for publication into languages such as Japanese, Chinese, Bahasa Melayu, Arabic, Korean, Macedonian and Greek. Of course at this point, the book gets a second lease of life and it’s down to the foreign publisher to repeat the life cycle of a book as outlined in this post!